I have shared a variety of crochet boots featured before, and this design is definitely the one I will try for all my family members due to its special unisex pattern. We can crochet a sole and a pair of socks integrated inside to keep our feet warm and cozy all season long. 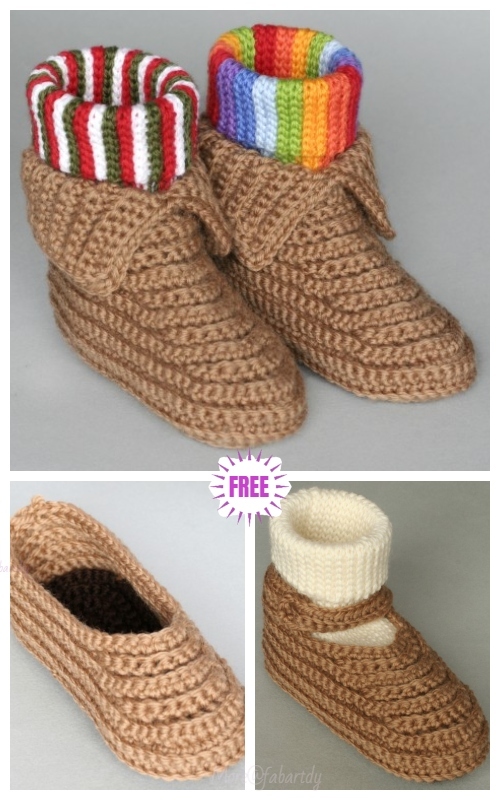 I also have a good collection of Crochet Adult Moccasin Shoes Patterns which are good to crochet for unisex, too. Now it’s getting cold and time to get our crochet hooks again to spend our relaxing time in the afternoon and at night. Now I want something new to try and luckily I came across this free pattern I am sharing with you today – a pair of beautiful, cozy, and warm crochet boots! This soccasin boots are designed by Megan Mills, a seasoned crochet lady over 40 years experience, and they are very useful and it will be great gift for your family and friends. 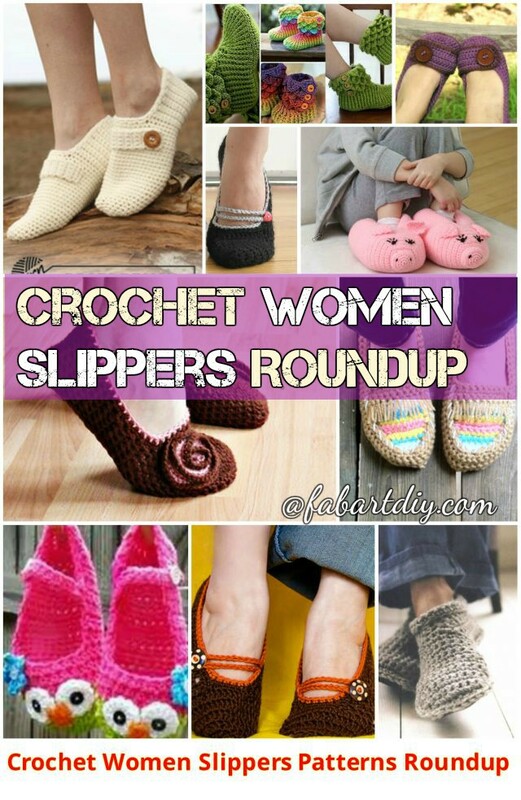 Are you ready to crochet shoes for cold and frosty weather? These soccasins look easy to make and doesn’t take too long either, plus they look fabulous. You also can change colors and remake design of course. Enjoy crochet fun!! Don’t miss out the collection of crochet boots you can make this season on fabartdiy HERE.